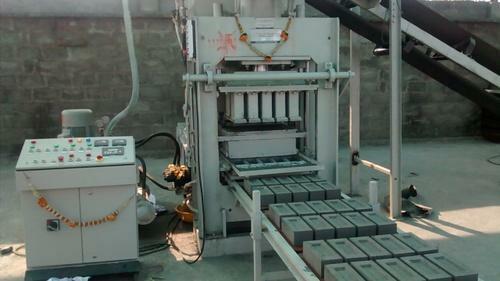 Our organization is ranked amongst the reputed names in the market for providing Hydraulic Fly Ash Brick Making Machine. Furthermore, we present this at nominal prices. The most unique attributes of this Hydraulic Fly Ash Brick Making Machine is that it produce tight texture, accurate size & shape and high strength of bricks with utmost ease. Fly Ash bricks are made of fly ash, lime, gypsum and sand. Fly ash, lime sand and gypsum are manually fed into a pan mixer where water is added in the required proportion for intimate mixing. We are getting proper response from the clients regarding our Brick Making Machines as it offer flawless performances during operations. No of bricks (size 3”x4”x9”)/stroke: 06 Nos.